I Feel So Sick, Don't I Need Antibiotics? There’s only a 1 in 4000 chance that an antibiotic will help most acute upper respiratory infections. But there’s a 1 in 4 chance of diarrhea and a 1 in 50 chance of a skin reaction and a 1 in 1000 chance it’ll cause an ER visit due to some side effect. 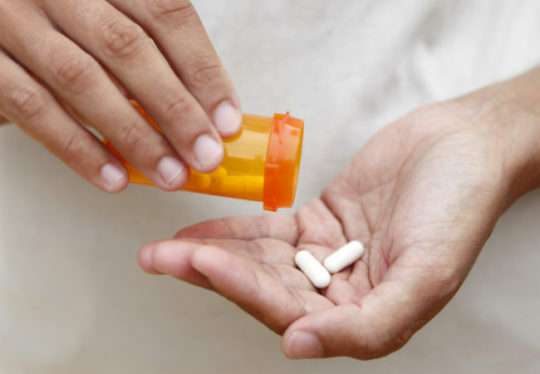 Antibiotics can also lead to more resistant infections that are harder to treat. Bottom line: There’s little to no benefit to taking antibiotics for most acute upper respiratory tract infections...and the downsides are real. Viruses cannot be treated by antibiotics. Viruses cause most upper respiratory infections, which include head colds, sore throats, bronchitis, and sinus infections. The common cold and influenza do not respond to antibiotics. Less than 10 percent of acute bronchitis cases are caused by bacteria. Most cases of acute ear infections also resolve without antibiotics. Sore throats (pharyngitis) are usually caused by viruses as well. Antibiotics are not recommended unless you have strep throat and only about 15 to 30 percent of pharyngitis cases in children and up to 10 percent of cases in adults are due to strep throat. Almost all cases of acute bacterial sinusitis resolve without antibiotics. There are a few situations in which antibiotics are needed, however. See your health care provider if you have a decreased immune system due to cancer, or if you are taking steroids, have HIV, or have had an organ transplant, or if your symptoms worsen or last longer than 7 to 10 days. Most often you should use the over-the-counter symptomatic treatment/s that your health care provider has recommended. These would include analgesic products such as acetaminophen (Tylenol®), decongestants, antihistamines, salt water gargles, drinking warm tea, and other methods to help treat the symptoms. Also remember that your best defense against getting the flu is to get a flu shot, but this does not, unfortunately, protect you against the many other viruses out in the environment that cause the other kinds of illnesses other than the actual influenza.